View More In Strollers & Accessories. Sonata™, Medela's NEW double-electric breast pump with 2-Phase Expression® Technology, is our smart breast pump designed with you and your baby in mind. Smart Solution™ connects Sonata to our MyMedela® app, your breast milk feeding resource for an instant connection to your personalized pumping dashboard. Real-time tracking of your baby's growth and pumping sessions, including unlimited access to evidence based lactation information and personalized content designed to help you reach your breast milk feeding goals. • More milk in less time with 2-Phase Expression Technology when double pumping, compared to single pumping. 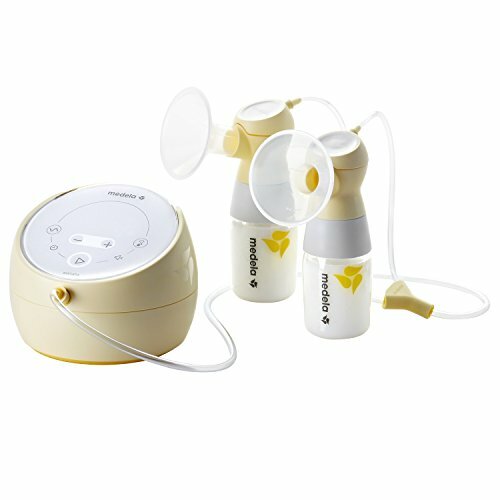 • Consistent pumping sessions featuring hospital performance, inspired by Symphony®, in a personal-use breast pump. • Flexibility to choose from two clinically tested pumping rhythms for personalized comfort. • Quiet when you need it most for discreet pumping situations like on-the-go or late-night sessions. If you have any questions about this product by Medela, contact us by completing and submitting the form below. If you are looking for a specif part number, please include it with your message.